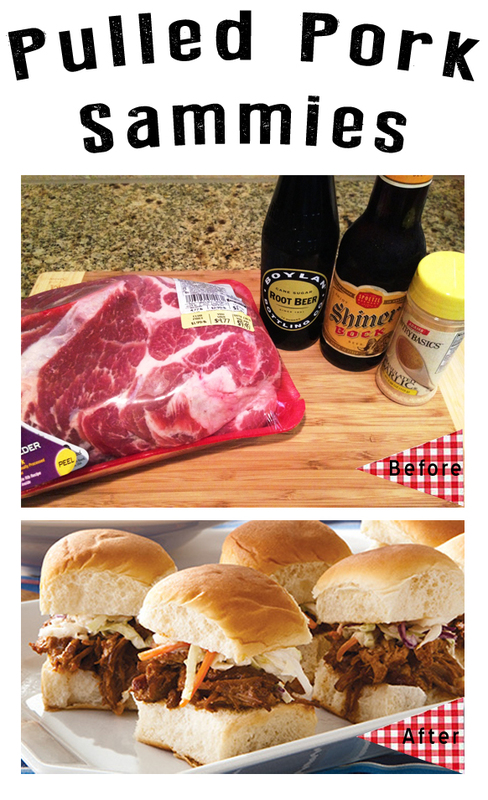 I am making these pulled pork sliders/sandwiches/sammies for our tailgate on Saturday. They are so good and very easy to cook ahead of time and serve the day of. The pork just gets better with time. True story, I really never ate much pork at all when I lived in Florida, but upon moving to Texas, it's one of my favorite dishes, as well as brisket. Directions: Wash and dry your pork. Place in a slow cooker and rub with spices. Add root beer and Shiner Bock. Cook on low 8-12 hours. Drain liquid and shred the pork. For tailgating, I place the shredded pork back in the slow cooker, add barbecue sauce and keep warm until ready to serve. good call on the shiner! !